You know when you have those spur of the moment urges to just make something but have no specific plan? 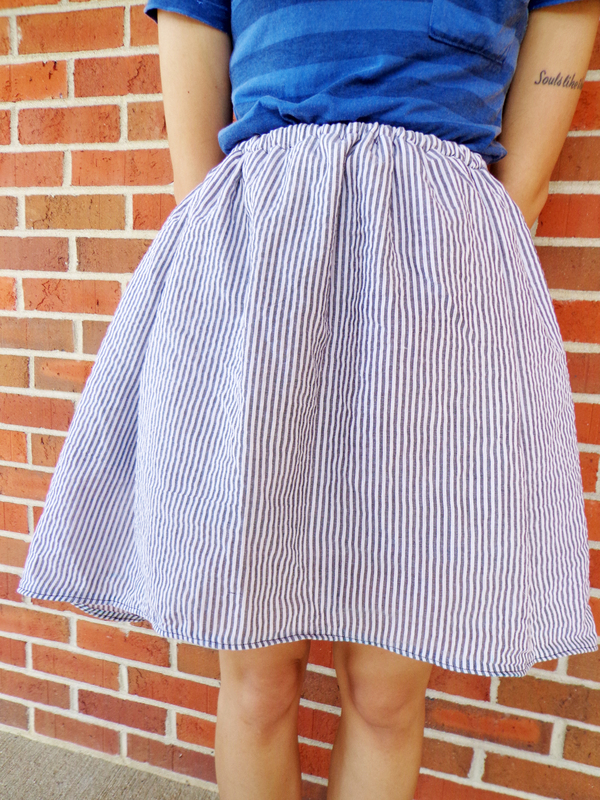 Well this skirt is a result of one of those times. 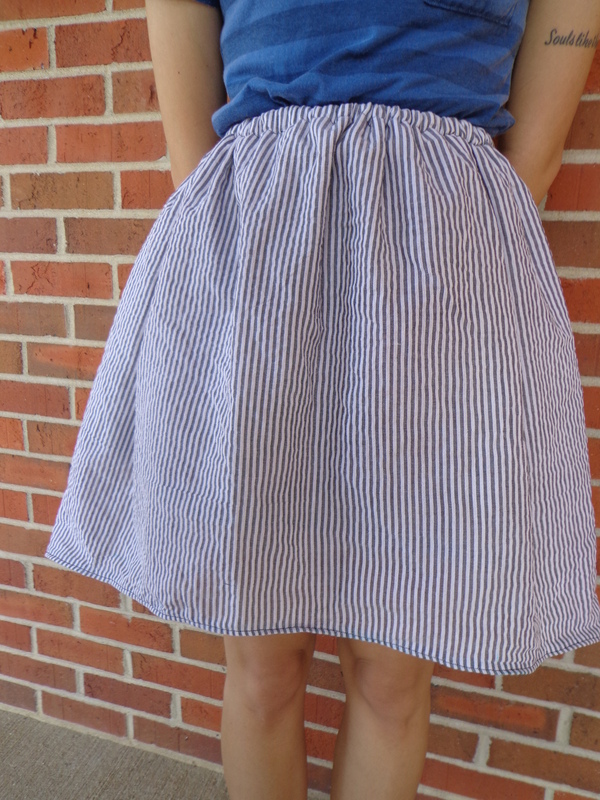 Usually things like this end up wonky, but I’m quite happy with how my skirt turned out! 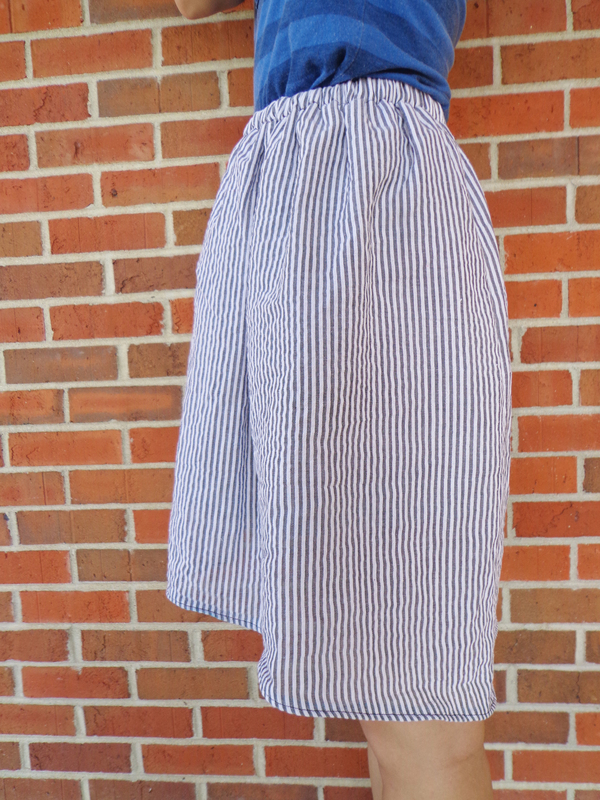 The fabric is cotton seersucker– white with blue stripes. 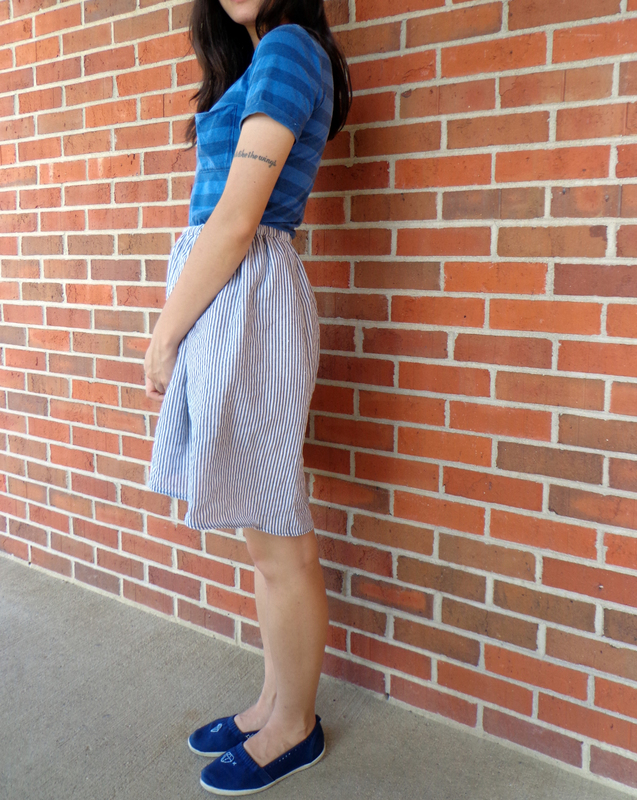 A comfy and cool alternative to shorts for summertime. 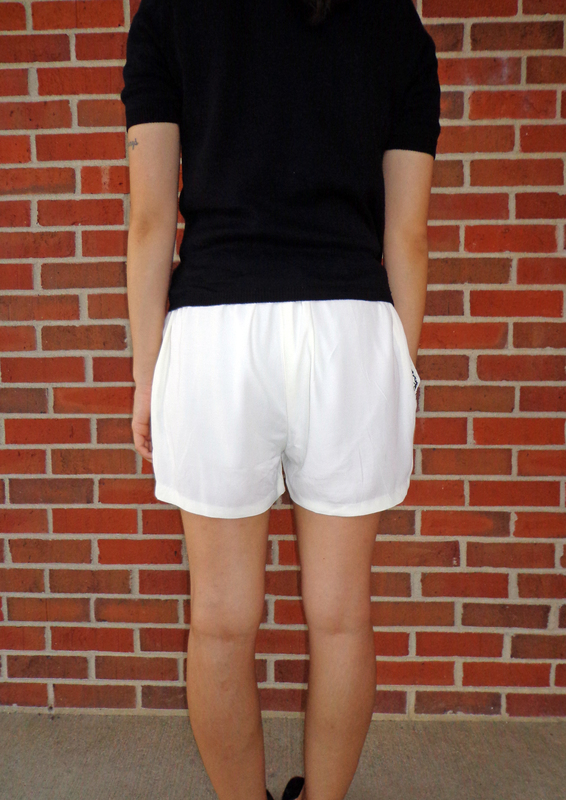 The waist is encased elastic, and there is a light gray polyester/cotton underlining that is a bit shorter than the hem. 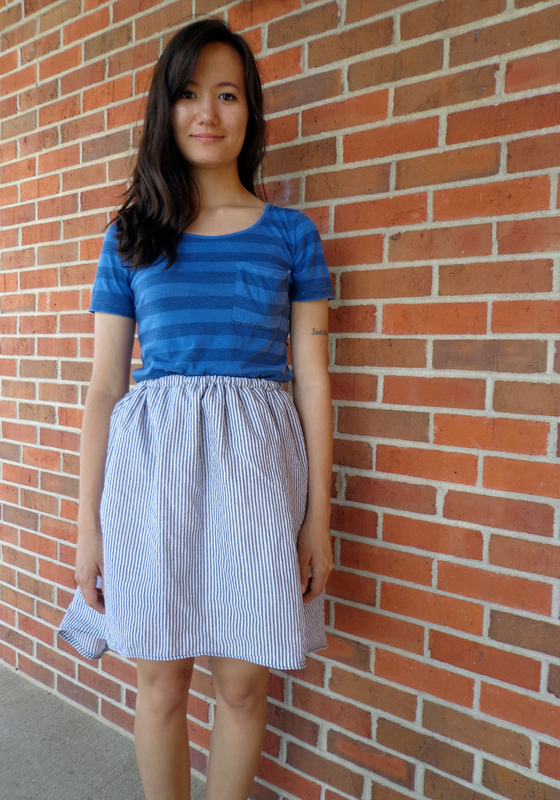 It’s hard to tell in most of these pictures, but the hem is actually raised in the front and lowered in the back. I simply traced a curve for the front and flipped it upside down for the back. 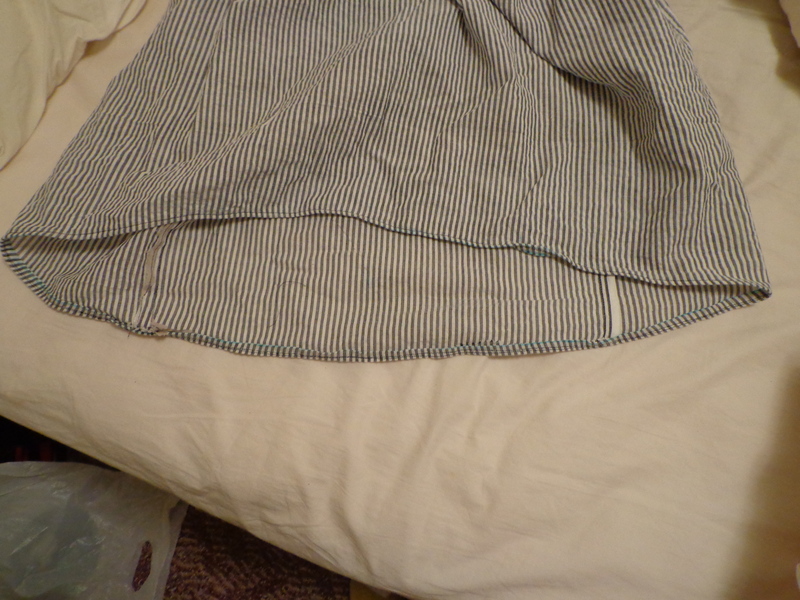 Originally, there was going to be a matching sleeveless top with red bias binding and horizontal stripes…I made a few too many mistakes, so I’ve thrown it into my “I’m-tired-of-messing-with-you pile” to take another look at in the future. Instead I’ve thrown on this super comfy and so flattering t-shirt. I’m seriously in love with this shirt. It was on clearance + my boyfriend’s employee discount, so it was a super deal! I want to trace a pattern off of it sometime so I can make more. 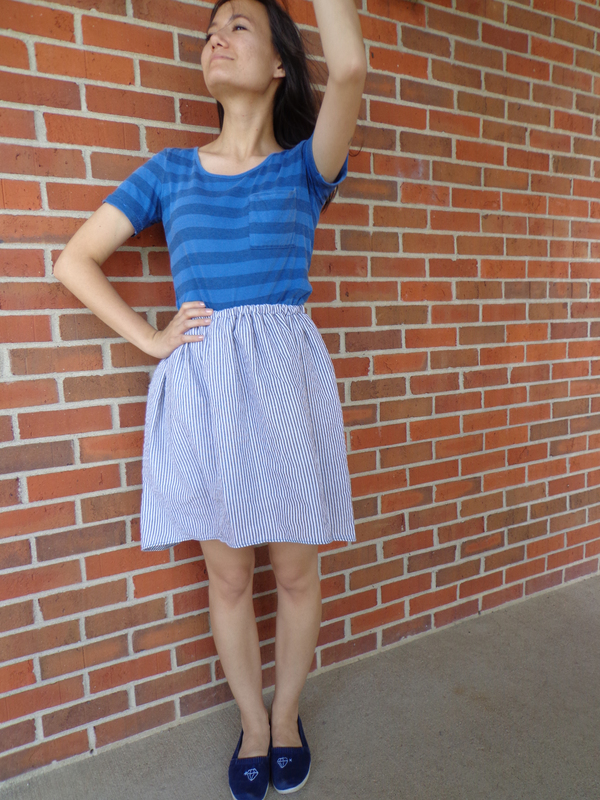 And here’s a funny picture when I was pushing the hair off my face and look kind of like a ballerina.